"Just recently I have been directly threatened: A bullet was shot through the window of my campaign office in Richmond this week, and I've received threatening e-mails," House Minority Whip Eric Cantor told reporters Thursday, during a press conference in which he responded to reports of threats made against Democratic members of Congress. Thanks to the Richmond Police Department, however, we now know that most of that remark wasn't true. The bullet didn't go through the window of Cantor's campaign office; it hit another room in that building. (Granted, the congressman occasionally uses the room for meetings. But it's still not part of his campaign office.) And we also know that it was a stray bullet -- "random gunfire," a spokesman for the Richmond PD has called it. And based on the description law enforcement has given, it seems that it was fired from some distance away. Now, you can argue that the congressman didn't really know any of that, that he wasn't aware of just how unlikely it was that the bullet was meant to threaten him. 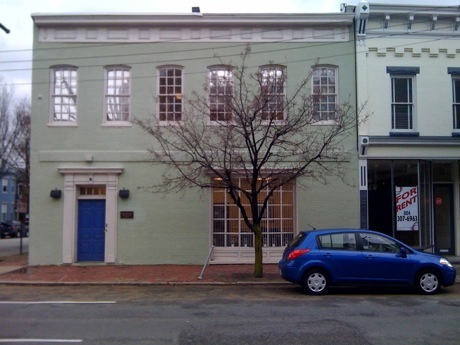 But he did know one thing: From the outside, it's not even possible to tell that Cantor's campaign office is located inside the building. 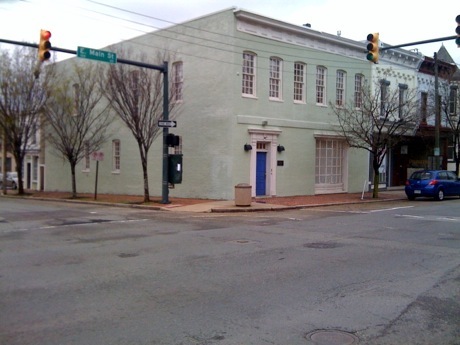 Rick Montgomery, the father of a Salon employee, went to the building that houses Cantor's campaign office on Salon's behalf and confirmed that there are no identifying signs whatsoever visible from outside. He also took the two photographs at the bottom of this post, one of the front of the building and the other of the side. It is possible to find the location of the office on the Internet, though it takes a little work -- the address isn't given on Cantor's campaign Web site. But if someone had decided to target Cantor and had taken the time to search around for the address, once they got there they wouldn't have known which window was the congressman's. A spokesman for Cantor didn't return a message left seeking comment.